Kerala weather forecast: Heavy rainfall has been predicted adding to the disastrous flood in Kerala. 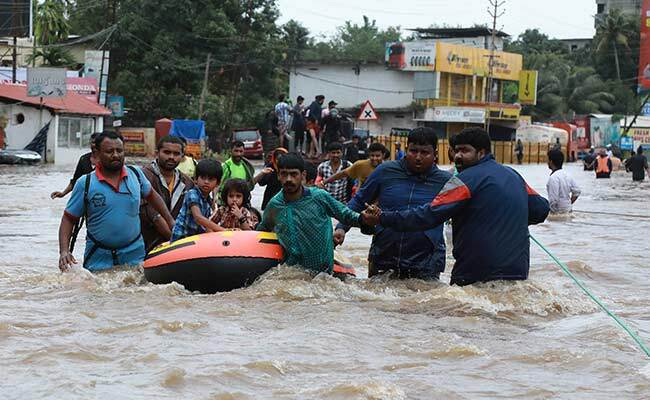 With 324 dead and more than three lakh people shifted to relief camps, in what is the worst floods in Kerala in a century, an unprecedented rescue and relief operation is being led by the three services along with teams of the National Disaster Response Force or NDRF. 38 helicopters are involved in air-lifting the stranded and dropping relief material; 20 aircraft are being used to ferry resources. With some areas engulfed by overflowing rivers, people can be seen wading through chest-high waters past partially submerged houses. Those stranded on rooftops can be seen waving desperately to choppers for help. 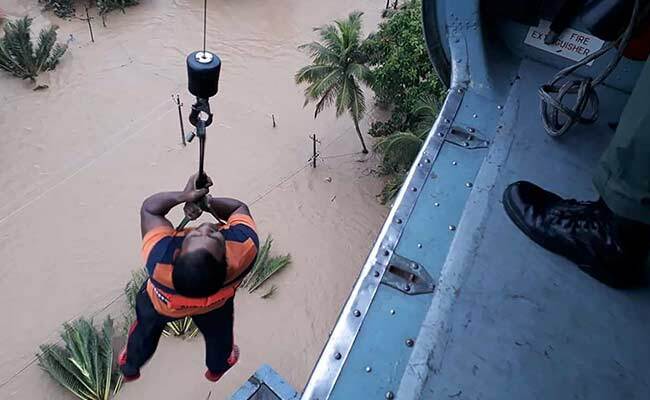 "In some areas, airlifting is the only option... thousands are still marooned," Chief Minister Pinarayi Vijayan said, adding he was hoping the forces could step up their support for rescuers. "I spoke to the defence minister this morning and asked for more helicopters," Mr Vijayan said in Thiruvananthapuram, adding that he planned to send 11 more helicopters to the worst-hit areas. 10 columns of the Army and 10 teams of Engineering Task Force, comprising 790 personnel, have been deployed in the state. 82 teams of the Navy, 42 of the Coast Guard have also been deployed along with five Companies of paramilitary troops for rescue and relief operations. During the current monsoon, Kerala has been hit with over a third more rain than average, according to the weather department. Heavy rainfall has been forecast for most parts of the state today, and authorities said they planned to implement controlled releases of water from dams to manage flows and minimise damage. Nearly 100 dams, reservoirs and rivers have overflowed in the state this monsoon. Rains are expected to subside to "light to moderate" levels tomorrow, the weather department said.